November 20, 2013 — Penn Staters for Responsible Stewardship (PS4RS), the grassroots watchdog group that has been critical of the Penn State Board Trustees’ handling of the Jerry Sandusky scandal, applauds a first step towards boardreform, in the form of legislation proposed this morning by Senators John Yudichak (D) and Jake Corman (R). 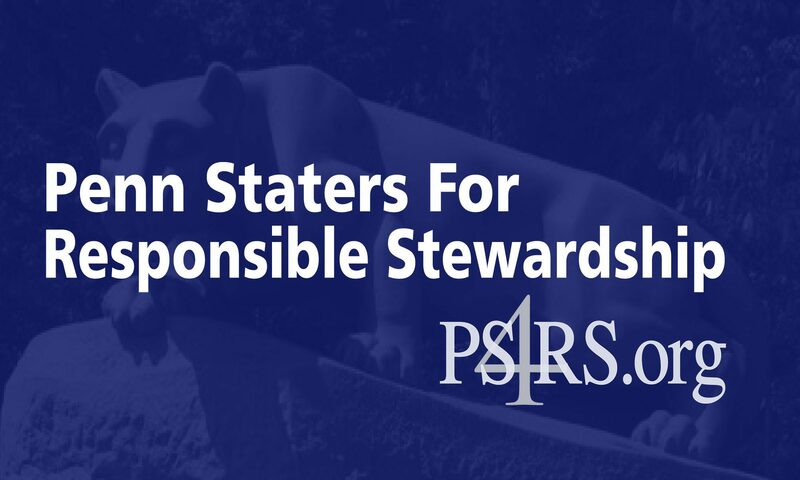 Penn Staters for Responsible Stewardship, with more than 20,000 members, was formed in November 2011 to effect positive change within the Penn State University Board of Trustees. Since the organization’s inception, 13 of 32 Penn State trustees have either been replaced through alumni elections or have resigned. It is the non-negotiable mission of PS4RS to remove or replace all of the trustees who were at the helm in November 2011.